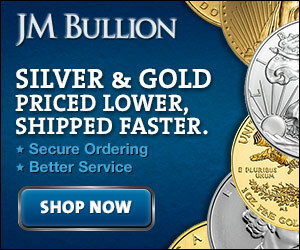 One of the least talked about topics in the survivalist community is the S word…. Sanitation. (I know what you thought I was going to say 😉 ) No one likes to think about it, but what would happen if you couldn’t flush the toilet for say, a week or more at a time for some reason? Maybe the sewers are just backed up and the plumber is a few days away. Maybe its a longer term disaster like a hurricane or tornado. 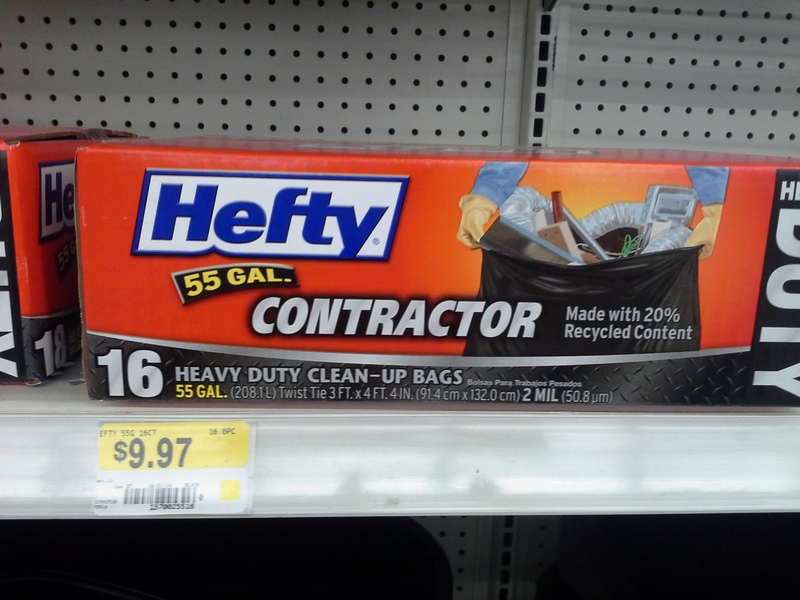 Here’s a quick ‘n dirty way to handle sanitation for under $20 for a week or so. Item number 1 is a bucket. 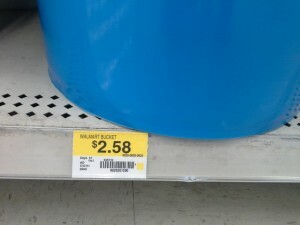 These blue Walmart buckets should work just fine. 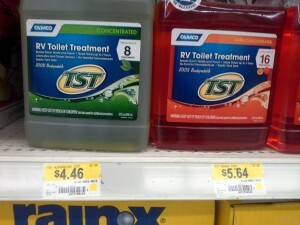 Item number 2 would be some RV toilet treatment. This will be crucial in keeping the odor down and help keep the area sanitized. It isn’t a perfect solution, but it works. Next you need a pool noodle… one of those foam pool toys. This will form the seat of the makeshift toilet and can be purchased for a couple dollars. Cut a slot down the center of one and wrap it around the bucket for a bit of a cushion. 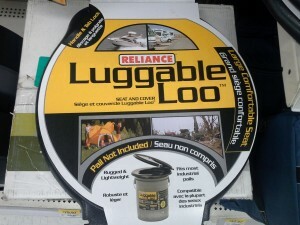 Alternatively, if you want to splurge a bit you can check out one of these “luggable loos” for about $13 at Walmart. 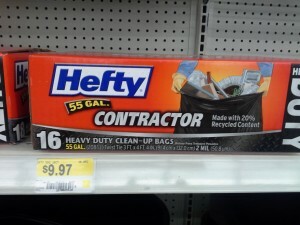 Finally you will need some black plastic bags, I recommend the contractor bags since they hold up better than regular ones, but you can definitely use those as well. At the end of this project without the luggable loo it came up to about 17.50. Add in a couple dollars for a pool noodle and you’re right at 20 dollars. As you can see this isn’t an ideal system (which in my opinion is a composting toilet), but it will do in a grid down scenario for a week or so.